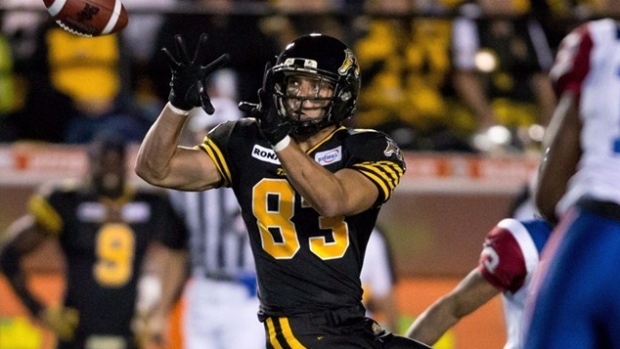 Hamilton Tiger-Cats running back CJ Gable and receiver Andy Fantuz could be out longer than expected with their elbow injuries. According to TSN's Matthew Scianitti, both Gable and Fantuz could miss the next two to three months with Gable possibly needing surgery. Hamilton placed Gable and Fantuz on the six game injury list on Wednesday following their win over the Toronto Argonauts in their home opener Monday. Gable took a hard hit in the first-half and was taken to a local hospital with an elbow injury. Fantuz slipped on the turf and appeared to injure his arm during the fall later in the game.